We’ll deliver you our 2-pack for just $10. Our turmeric’s bioavailability (the absorption rate into the body) is 185 times faster than the average. We’re able to do this by formulating the turmeric into liquid form through a proprietary blend to increase the average absorption from less than 30 percent to 95 percent. Small enough to fit in your pocket, yet powerful enough to be the solution you've been looking for, SHOT X has got your back. With powerful antioxidants and nutrients to get your mind and body balanced, this harmonious blend of science-backed ingredients is the X factor for leading a balanced, stress-free life. From weddings to nights out with friends, the best moments in life can leave you lagging. Renew and refresh your body to get you back to your best self so you can enjoy today without sacrificing tomorrow. Clinically studied antioxidants help to strengthen your immune system and detoxify your liver for a better tomorrow. 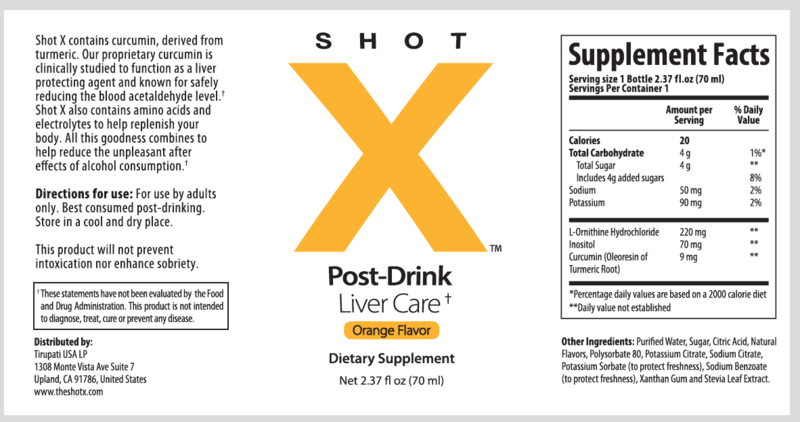 Balance your lifestyle with SHOT X as an essential part of the equation. When you’ve overdone life and feelings of anxiety lurk around the corner to throw your day off-track, SHOT X is your companion on a rollicking road to a joy-filled life. When do you recommend I take SHOT X? 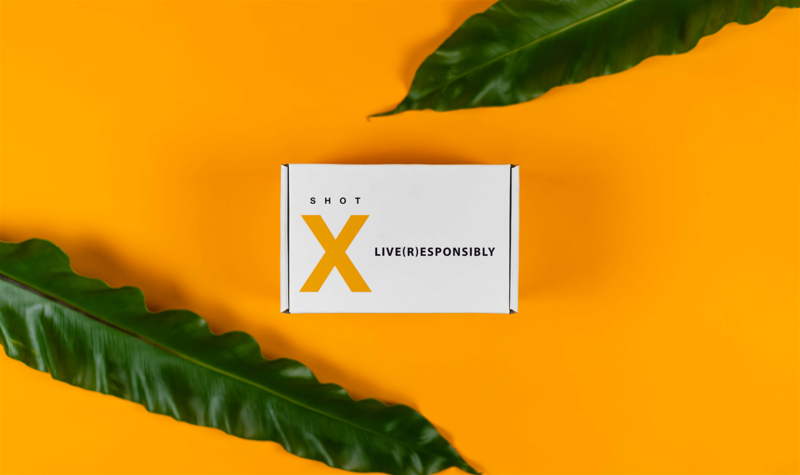 Whether you're watching Netflix with some wine or painting the town red with the crew, SHOT X helps balance your mind and body to bring out your best you. Looking for a pick-me-up after a long day, a hangover cure the morning after or just looking to fortify your immune system? We’ve got your back. How effective is your turmeric? We take pride in saying that our turmeric’s bioavailability--the absorption rate into the body--is 185 times faster than the average. We’re able to do this by formulating the turmeric into liquid form through a proprietary blend to increase the average absorption from less than 30 percent to 95 percent. Where can I buy SHOT X? Our proprietary blend is only offered through our website. Sign up, select the amount and frequency, and that’s it! Easily adjust your subscription with just a few clicks by logging into your account. We ship out our subscriptions on a monthly cycle. We’ll notify you immediately if there are any changes to your shipment schedule due to a major holiday or inclement weather. How can I ensure my order arrives before a certain date? To make sure your SHOT X orders are delivered in time for a specific date, please order at least five (5) business days in advance. While shipments generally arrive within five (5) business days, around holidays and certain shipping blackout dates it is best to provide yourself a buffer of seven to ten business days. While we don’t accept returns, we’re committed to your satisfaction. Contact us at weactuallycare@theshotx.com or through social media.